Today it has been reported that the son of Muammar Gaddafi, has been sentenced to death by a court in Libya. 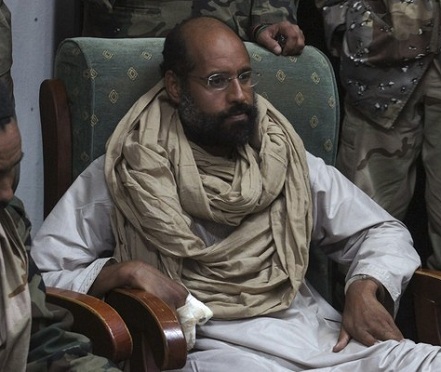 Saif al-Islam Gaddafi has received the death penalty alongside eight other figures from the former dictatorship, including the erstwhile intelligence chief Abdullah al-Senussi. However, according to the United Nations and other NGO’s, the trial was undercut by serious due process infringements and reported that Libya missed a vital chance to deliver justice in the post-Gaddafi era. To learn more about this story, please read the following links.